And this would be the one. Kicking off June is easily my most anticipated film of the month and is the DC film I'm looking forward to most this year (yes, more than Justice League). This film looks awesome. The look of the early 1900s in this film is awesome, and I also like the incorporation of World War I into the plot. And as can be seen in the trailers, the film looks to have some great humour from the characters. And even the action sequences look awesome from the trailer. Directed by Patty Jenkins, I do hope this will be the first DCEU film that will really hit its mark, both critically & commercially. And by the way, all the trailers are awesome, but especially check out the second and the last trailer. I really like those. Initially, I was quite excited with the notion of this film kicking off the Universal Monsters shared universe. Then they announced the cast (Tom Cruise, Sofia Boutella, Russell Crowe, etc) and I got even more excited. It all sounded perfect. But then the trailers came out, and somehow...I'm actually not sold. I don't feel anything particularly special that this film offers, and I look at Tom Cruise, and he almost looks like he's just in another Mission: Impossible film (if Mission: Impossible had mummies/monsters). The first trailer wasn't really good, for me. The second & third one were better, but again, I don't feel anything special. As of right now, I would much rather watch the 1999 movie with Brendan Fraser, because that one was really funny. I can't say the same about the sequels but I really enjoyed the 1999 The Mummy movie, and I had lots of laughs with it. With this new one, I'm really not that excited for it, but I do hope to be proven wrong when the movie comes out. I know a lot of people don't really like the Cars films (especially the second), and they are considered to be among the weakest of the Pixar properties. But personally, I have to say I enjoyed these films. And there is a certain appreciation I have for the creativity that comes into the idea of showing how cars live (sleep, work) like humans do...and they even have spies too (Cars 2, yes). 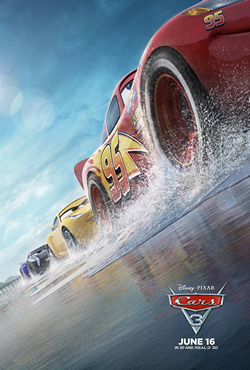 So while I understand that people like the Cars films least, I still enjoyed them, and perhaps with a better written story, this next movie could redeem the franchise and be on par with the other Pixar films...or at least, closer to, because most Pixar films were really good in both the emotional story & the fun to be had. This is perhaps one of those franchises that critics like least, but still made tons of money every time. It really goes against the natural order. Similar to the film above, I understand why a lot of people don't like these films, but I do find myself enjoying some of them. I completely agree that none of the Transformers movies were of good quality, but there are some cool moments to enjoy. 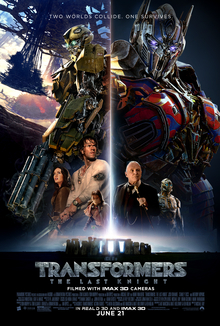 So, with this next one, I'm not that looking forward to it because I don't feel the need/urge to watch another Transformers movie at this point. But, I do think there will be some cool action moments & visuals to enjoy. In other words, I don't completely hate or despise this franchise, but I do know that I can't expect the film to be good. But hey, who knows this one might be good? There are two very simple reasons why I'm excited for this film. The main one is Edgar Wright. He is such a brilliant writer/director and he has his own unique style & comedic tone. I really enjoyed the Cornetto trilogy films with Simon Pegg, and it was also quite a missed opportunity that we didn't get to see his version of Ant-Man. But this film looks certainly right up his alley, and looks awesome, too. And by the way, the second reason would be the cast, with the likes of Kevin Spacey, Jamie Foxx, Lily James, my man Jon Bernthal and more. An awesome cast in a cool looking film by a brilliant director. I'm on board. The first Despicable Me film was awesome and had a very powerful story. The second was pretty good & quite enjoyable. Minions, however, wasn't really good. So this franchise currently has a worryingly downwards trend, and unfortunately, from what I've seen so far (the trailers), there is no sign that this film looks to bring it back to the glory of the original. I'm a bit concerned that the jokes are starting to feel jaded, and perhaps they are also running out of fresh ideas. Obviously, I could be wrong, but from the trailers, I see no sign of returning to the quality of the original film. But at least the film should be quite fun to watch, and hopefully the story is a bit better than what's shown so far. A long time back (around when I was in primary school), I remember reading some of the Captain Underpants books. I don't recall much of it now...all I know is that I enjoyed the flip-o-rama parts of the book. So, with this upcoming animated Captain Underpants: The First Epic Movie (https://www.youtube.com/watch?v=E6y0M4_ptUA), I don't have much excitement for it right now, but if it turns out to be good, I might be curious to check it out. The film comes out on June 2nd. Now, as most of you may well know, I actively avoid horror flicks, so I can't possibly advise you on upcoming horror films. But thanks to some outside sources, I do notice this one film called It Comes at Night (https://www.youtube.com/watch?v=o-0hcF97wy0), which I heard is actually pretty good. There might be others to check out, but this is one you horror fans might want to keep an eye out for. This film comes out on June 9th. Up next is a film I wasn't initially too keen on, but the trailers got me hooked. Directed by Colin Trevorrow (before he takes on the titan that is Star Wars Episode IX), this drama called The Book of Henry (https://www.youtube.com/watch?v=Dz8R2xxeyaA&t=42s) has a very intriguing premise, and I like seeing the mother-son dynamic in the film. This film comes out on June 16th. Finally, a thriller called 2:22 (https://www.youtube.com/watch?v=Af2N3N5rURI). I'm not fully convinced of the quality of the film (partially because of the lack of big names), but the film does carry an intriguing premise. This film is out on June 30th.